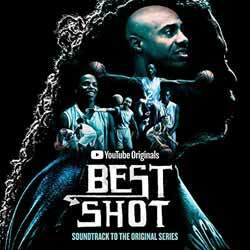 The music for Best Shot was created by the composing duo Hylton and Yoffee who have collectively racked up Billboard #1 albums with Nicki Minaj, Arianna Grande, and Keyshia Cole, and composed music for the campaigns of Star Wars Force Awakens, Star Wars The Last Jedi, Ready Player One, Pirates of the Caribbean, The Jungle Book, among others. The resulting soundtrack for Best Shot is a hybrid of hip-hop and film music, created by using the songwriting camp process familiar in the pop world mixed with traditional scoring techniques. Singers, rappers and a bevy of musicians were recorded for the show’s music, which features 20 powerhouse tracks (45 min, 57 sec) taken from the show’s original score – including ten original songs. It's an interesting soundtrack, and certainly one fans of the show will enjoy.